MPPSC Assistant Registrar Admit Card 2018 is out. Madhya Pradesh Public Service Commission revealed the MPPSC Assistant Registrar Admit Card 2018 for the Assistant Registrar position online exam. Candidates have to maintain the registration details like application number and date of birth to download the admit card from the organization website. All the competitors must attend the MPPSC Assistant Registrar exam on 19th August 2018 along with MPPSC AR Hall Ticket 2018. We also given the direct download link of admit card for the applicants comfortable at the end of this page. More information about the MPPSC Assistant Registrar Admit Card 2018 has mentioned below. Examination Date – 19th August 2018. Admit Card Status – Released on 8th August 2018. 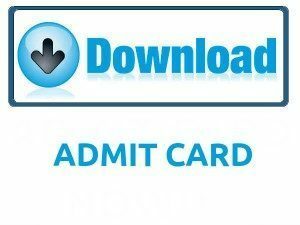 Direct Admit Card Download link is available at the end of this Article. MPPSC Assistant Registrar Admit Card 2018 is released. The Madhya Pradesh Public Service Commission declared the admit or hall ticket for Assistant Registrar position written examination. Candidates who had complete the application process for MPPSC positions and be waiting for the MPPSC Assistant Registrar Admit Card 2018, it will be good news for everyone. Every year the organization had released the notification for recruit the candidates for filling in various positions. And this year also it issued the notification for 29 Assistant Registrar positions. For this Assistant Registrar position, the examination process will be conducted on 19th August 2018. So the aspirants need to download the admit card or hall ticket from the organization website, as early as possible to attend the examination. Below in this page, we have specified the direct link to download the MPPSC Assistant Registrar Hall Ticket 2018 for the examination. For more information, the aspirants have to visit the official website. The below table contains the information of the Assistant Registrar admit card like Organization Name, Examination Name, Vacancies in the organization, Number of Posts, Application process starting and ending dates, Category, Release date of admit card, Date of the examination, Official website. The MPPSC had officially released the admit card belongs to Assistant Registrar position written examination through the organization website. The applicants who had completed the application process through online and search for admit card or hall ticket it will be the good news for all. In this page, we have given the MPPSC Assistant Registrar Admit Card 2018 download link for candidates, and it is associated with the official website of Madhya Pradesh Public Service Commission. After the download process of admit card candidates have to verify the information in admit card or hall ticket. If the corrections are necessary for the MPPSC AR Hall Ticket 2018 immediately inform the management and rectify the errors otherwise, candidates will face the problems in the examination hall. For more details about this recruitment and examination process details visit the MPPSC website. The organization of MPPSC will recruit the people based on the online exam. After this written test candidate needs to go through the Personal Interview. For more selection process information check the official notification of MPPSC. The admit card will play the leading role in any examination process like competitive, board examination, etc. The examination board will not allow the aspirants to write the exam without MPPSC Assistant Registrar Admit Card 2018 because it contains the details about exam and aspirant like name, registration number, date of birth, examination date and time, the address of the exam, etc. By using the information of admit card or hall ticket, the organization will quickly sort out the fake applicants in the examination center. Candidates have to carry an identity like photograph etc. with the admit card for the security reason at the examination theater. Everyone needs to reach the examination hall before 20 minutes to the exam and check the instructions behind the hall ticket. The other information belongs the MPPSC Assistant Registrar position exam like information on admit card, required documents for the exam, and steps to download the admit card has provided below. Log in the official website of Madhya Pradesh Public Service Commission, www.mppsc.nic.in. Search for the MPPSC Assistant Registrar Admit Card on the homepage. The registration page will redirect. MPPSC Assistant Registrar Admit Card 2018 will display on the screen. Download the MPPSC Assistant Registrar Admit Card. Check the information in admit card. Submit MPPSC Assistant Registrar Admit Card at the examination hall with an identity issued by the government. We hope the above details of MPPSC Assistant Registrar Admit Card 2018 is handy for all the applicants. If candidates have any questions about this post, then leave a comment on below comment box for further clarifications. For more updates on Recruitment, Syllabus, Previous Papers, Admit Card, Result, etc. check on our website Sarkari Naukri.